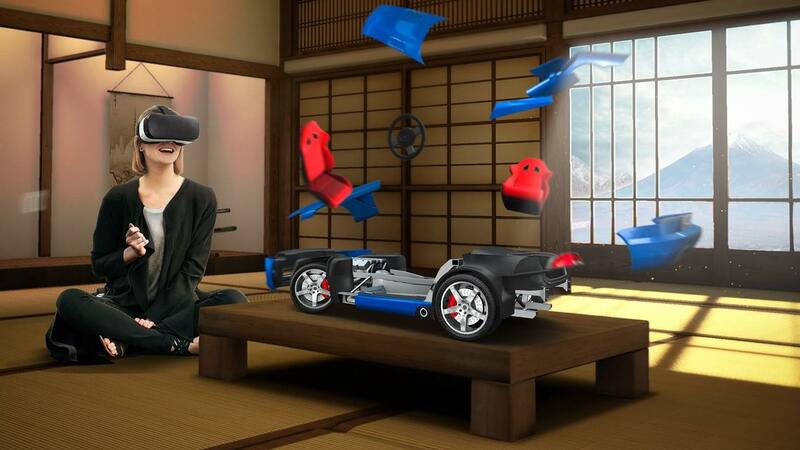 Enter your virtual Zen workshop and bring your dreams to reality in Monzo VR. With over 30 digital modelling kits, you will soon lose yourself in the art of creation. Do you want to build a car? A plane? How about a Leonardo da Vinci Paddle Boat or the Titanic? Each digital model has been lovingly designed so that you can build them up piece by piece in full Virtual Reality. Discover how these complex machines work. or see the mechanisms function in the cross-sectional view. Once you have built your model, it is time to paint it and decorate it with decal stickers. Replicate the authentic looks of the real world, or let your imagination run wild. The only limit is your creativity. Settle back, turn on soothing music and enjoy a relaxing activity in thoughtfully crafted environments. Forget everything that hurts on the top of the Mountain. Have a zen-like experience in a Japanese Dojo, or just relax in beautiful apartment above the city.